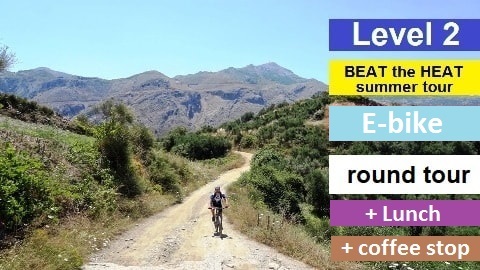 With the same effort you will ride more kilometers, more hills, explore more places and see lots of different landscapes in Crete than with a normal bike. You can adjust the level of your fatigue and you do not have to worry about the heat or the steep climbs. For our e-bike tours we use CUBE bikes with a powerfull 250watt motor and 500wh battery. Unlike mopeds, with an e-bike the rider's pedalling is assisted by a small electric motor. If you stop pedaling you do not have any assistance. With four power modes ECONOMY, TOUR, E-MTB and TURBO you can choose the level of the support that you need. For training use the ECONOMY mode. For steeper climbs and if you get tyred switch to TOUR or TURBO mode. 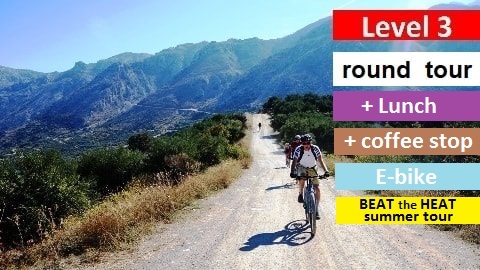 Our bike tours are an exploration of the Cretan nature. 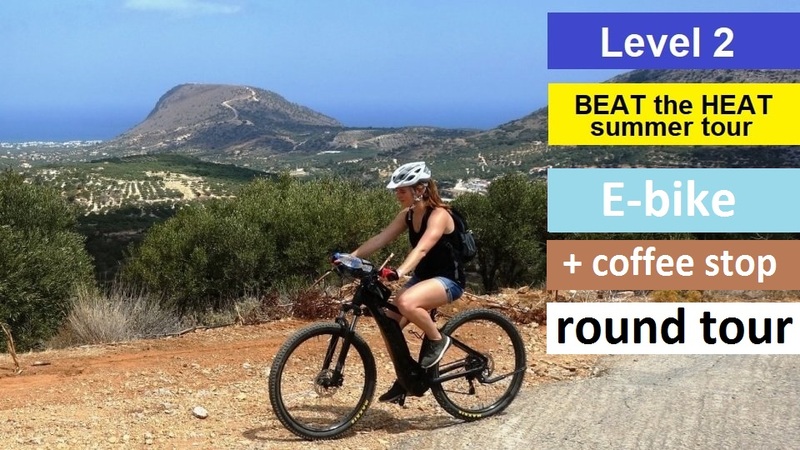 With the ebike you are more focused on enjoying the landscape than struggling to climb the steep Cretan hills.